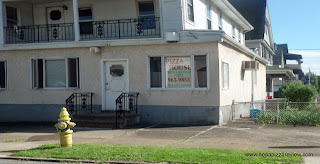 I've been hearing about this super secret pizza place in North Scranton from my most reliable informant for some time now. He's been telling me about how amazing the pizza is, and that not many people (besides the locals) know about it. He's also sent me pictures of the pizza which all looked phenominal. Finally, my interest peaked, and I had to go check this place out. I saddled up the pizza mobile and headed to Pizza House in Scranton. The place was easy to find, although it is located in a highly residential area, and appears to double as a restaurant and house - probably where the name came from! The restaurant looked as if it was strictly for takeout, so I didn't have a chance to stay long, but the person working there was quite friendly and the pizza was done in the 20 minutes that I was promised. Although I must say, Pizza House didn't look "super secret" to me, as my poor sense of direction and 20/60 vision easily found the door and walked in! Anyway, I paid for the pie, which was a little on the pricey side at $13.50, but we don't judge value until we see what's inside! I hopped in the pizza mobile and opened the box up for a few photos, and I was impressed with what I saw. The pizza just looked like it was crafted and cooked perfectly. Aesthetics were already earning this pizza some serious brownie points, and I could already tell that my informant was probably right on the money as usual. 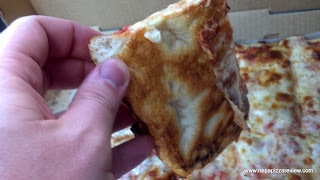 The crust was the most prominent and definately my favorite part of this pizza. It was thick, fluffy, crispy, and golden brown. The bubble pattern was impressive with variations of both large and small pockets of air. The consistently inconsistent depth of the dough provided amazing depth in texture and flavor, which was amazing but the most amazing part was the crunchiness around the edge of the crust - incredible. There was a generous portion of cheese on top of this pie, and it was quite flavorful. I'm assuming this was a cheddar cheese because of the flavors and the way that it cooked to a golden brown in several spots. There might have been a blend of cheeses, but my tastebuds were occupied with the crust, so you will have to grab one of these pies and try for yourself if you want to know what kind of cheeses are really on this pie. Finally, the sauce was pretty good. I found it to be a little muted because there was quite a bit of cheese, but I liked its balance and seasonings. I don't think I detected any onions, and this was not a sweet sauce for you picky pizza eaters! The most difficult thing I had to determine was what genre of pizza to classify this pie in. 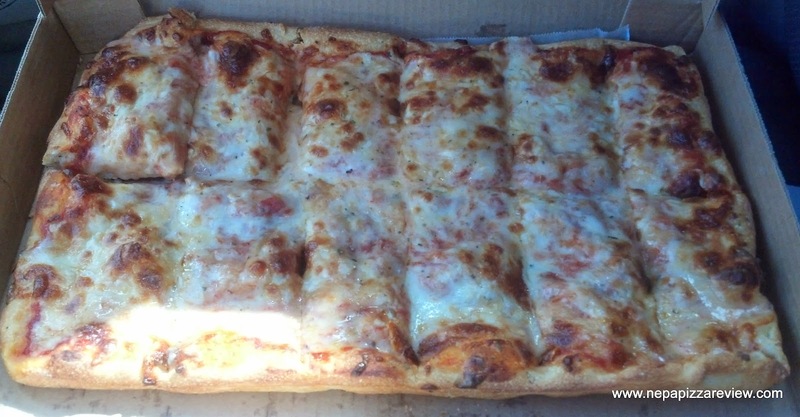 The rectangular shape, precooked sauce, and cheddar cheese would lend itself to an old forge pizza, but the thick and fluffy dough would indicate more of a sicilian pie. For simplicity, I guess I'll call it an Old Forge, because I don't like to call a pizza "a square." That's too boring, but I recognize it's not uncommon for the NEPA Nation to call up a pizzeria and say "eyyy, gimmee a square tray with roni." Surprisingly, pizza makers know to prepare a rectangular pizza with pepperoni on top! 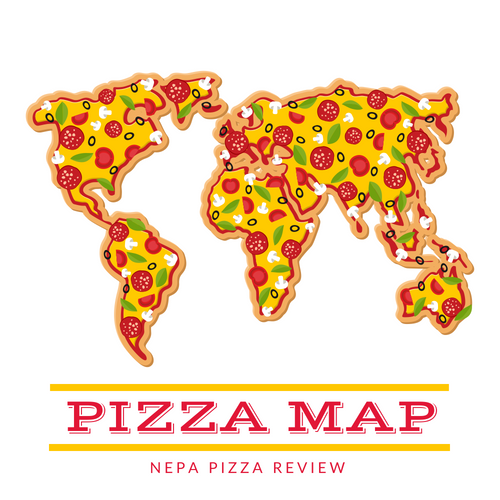 For more on NEPA Pizza vernacular check out this blog post! 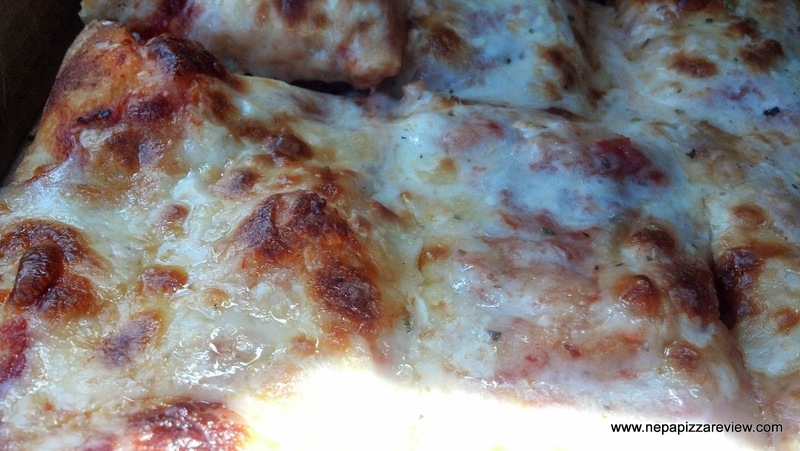 Overall, I was a big fan of this pizza and I do recommend that you try out this hidden gem. It's a tiny bit pricey, but if you like a thick crust and a lot of cheese - this pie is for you! Kudos to my Scranton Pizza Informant on another job well done!